Much like debacle we saw prior to production on "Iron Man 2" with Don Cheadle replacing Terrence Howard, Lefevre shot back at Summit Entertainment saying she did not know why she was being replaced. She told Entertainment Weekly, "I was stunned by Summit’s decision to recast the role of Victoria for Eclipse. I was fully committed to the Twilight saga, and to the portrayal of Victoria. I turned down several other film opportunities and, in accordance with my contractual rights, accepted only roles that would involve very short shooting schedules." Well it seems the one role she did choose, does overlap with the shooting schedule for "Eclipse" and as a direct result Lefevre is out and Howard is in. Summit Entertainment responded to Rachelle Lefevre statement in Entertainment Weekly with one of their own, one that points to Lefevre just wanting the best of both world's. The Summit Press Release says that Lefevre was first given a shooting schedule for "Eclipse" back in April and failed to mention taking on a role in "Barney's Version" until July 20th eventhough she had accepted the role in early June. She then refrained from telling the studio that "Barney's Version" had ten overlapping days with the "Eclipse" shooting schedule. Within the Summit Entertainment response to Lefevre's actions is a lot of finger pointing but the final point is she's out. "The fact remains that Ms. Lefevre's commitment to the other project - which she chose to withhold from Summit until the last possible moment - makes her unfortunately unavailable to perform the role of Victoria in THE TWILIGHT SAGA: ECLIPSE." For now it seems that Summit Entertainment has the last laugh and Rachelle Lefevre is out as Victoria just when it was time for her to really sink her teeth into the role. 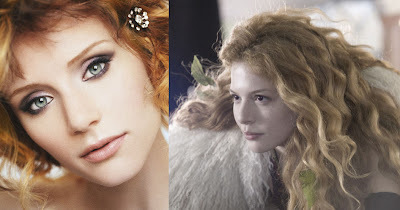 As for acquiring Bryce Dallas Howard for the role of Victoria, I am not so sure I like it. Howard isn't a terrible actress, but she has never done anything of notice. She has had the opportunity, but never taken the advantage. I hope here in the role of Victoria, she will be able to do just that, I however remain skeptical till I see something that changes my mind.